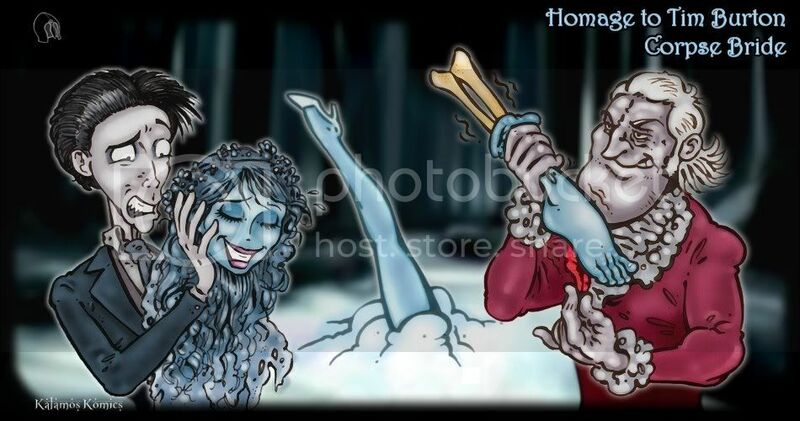 Kalamos Komics: Tickling Art - Tribute to Tim Burton! Tickling Art - Tribute to Tim Burton! With today's update, Kalamos Komics is proud to announce the "Tribute Series". Homages to artists and characters who - for a reason or another - left an impression on me. My first tribute I'm devoting to one of my favourite directors - visionary Tim Burton. Allow me to share the first batch of Teasers to the forthcoming series. As usual, thanks for the warmth and exceptional support.